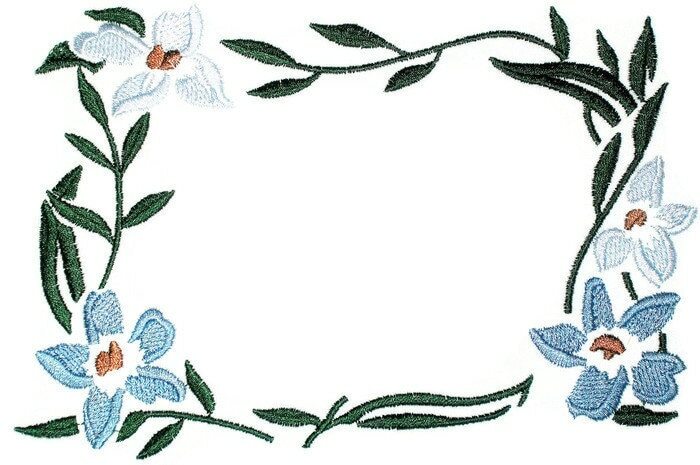 Floral framed embroidered quilt label. Stitched in two shades of blue. Measures 17m x 11cm (6.5" x 4.25").